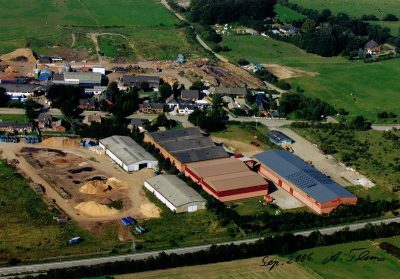 The company Thomsen was founded by Günther and Christa in 1962 and can now look back on close to 60 years of experience. 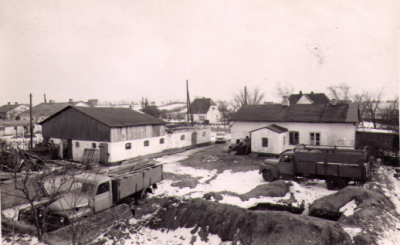 It all began with a small business selling turf, sapwood and kindling. 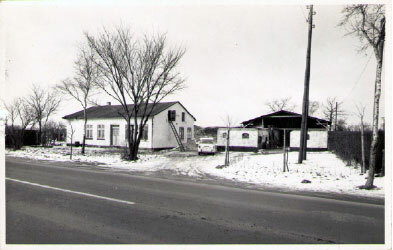 Back then, the site in Handewitt only contained a small house and a simple warehouse/barn. After a few years, smoking chips were also integrated into the range of products that Günther Thomsen tirelessly delivered to customers throughout the region. 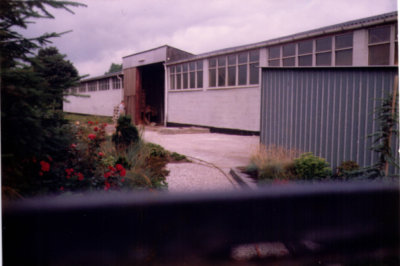 Thanks to Günther Thomsen’s hard work, the business developed so successfully that a new larger hall had to be constructed at the beginning of the 1970s to provide a home for new machines. 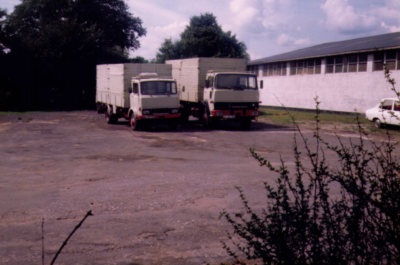 Over the following years, the company’s fleet and machinery were continuously extended and the market and delivery area expanded. In 1981, a new extension of the company’s production and storage facilities became necessary. 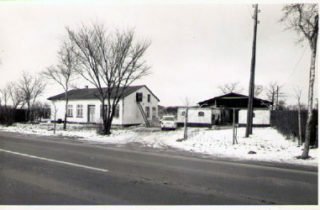 The company’s range of products was then expanded to include a variety of types of wood chip bedding. In 1991 a newgreat hallwas built,so that largermachines couldfind place in. 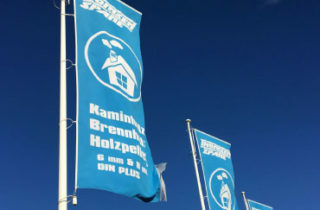 Over the following years, the production facilities, which have been managed by the couple’s son Helmut Thomsen since 1998, were continuously optimised, new machines and transport vehicles were purchased and connecting buildings and extensions to the existing halls were constructed. In order to further improve the company’s market position and secure jobs, the old fuel oil-powered steam boiler system was replaced by a new wood chip steam boiler system to dry the wood chips in 2005. This new system has a thermal output of 950kW, which enables it to gently dry two batches of 20 tons of wood chips within 24 hours. The old boiler, which has a thermal output of 738kW, is now used as a spare boiler. The company also makes efficient use of the waste heat, using it to heat both the entire production facilities and 8 neighbouring houses. The company additionally produces most of the wood chips used to light the boiler system. 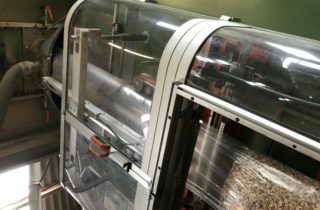 Helmut Thomsen’s largest single investment to date has been in a fully automatic filling and palletising system that is able to fill three hundred sacks weighing 25kg per hour. This is used to transform around 100 solid cubic metres of beechwood from local forests into wood chips every day. 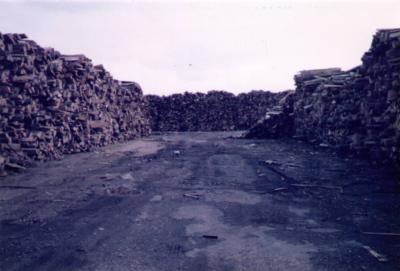 Small amounts of other types of wood such as alder, oak, birch and locust are also processed. Close to 50% of the goods produced are now exported, meaning that other tastes and customs of the company’s customers all over the world have to be taken into consideration. 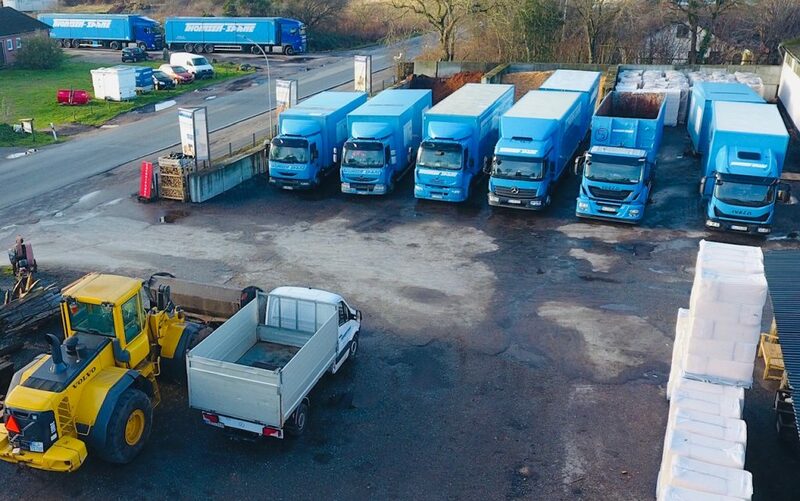 The company Thomsen Räucherspäne in Handewitt, Germany, now employs around 40 members of staff and supplies its products to smokehouses all over Germany and even in countries as far away as Dubai, the Ukraine, South Africa and Australia. 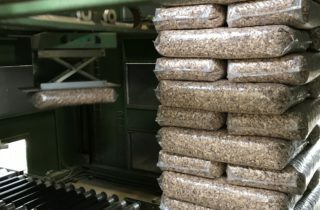 Word of the quality and ‘freshness’ of the wood chips from Handewitt and the delicate aroma that they produce and that a multitude of regular customers swear by has now spread around the world. 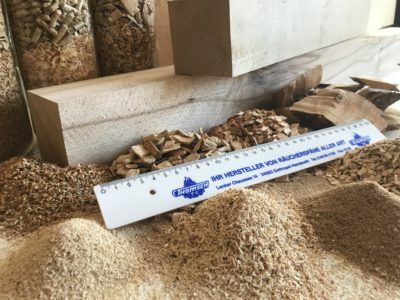 Thomsen attaches great importance to sustainable production – the smoking chips made from local wood are carefully dried to 13% using wood chip drying procedures; the waste heat is used to heat the production facilities and the neighbouring buildings in a local heating network. 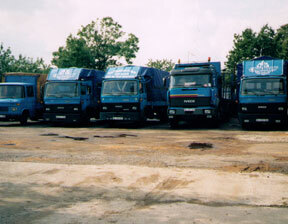 This enables us to both save costs and preserve the environment. Thomsen Räucherspäne GmbH & Co. KG is a family company that has been producing and selling smoking chips since 1962. Alongside its high-quality woods and regular quality checks, the company’s decades of experience have helped it to gain the trust of a multitude of customers. After all, when it comes to taste, no fluctuations can be tolerated. This is why the food smoking chips produced by Thomsen have always stood for constant high quality. 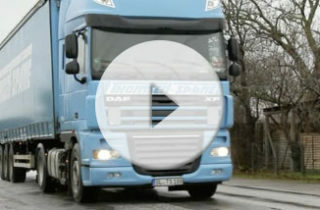 At Thomsen Räucherspäne GmbH & Co. KG we take customer service and contact with our customers extremely seriously. 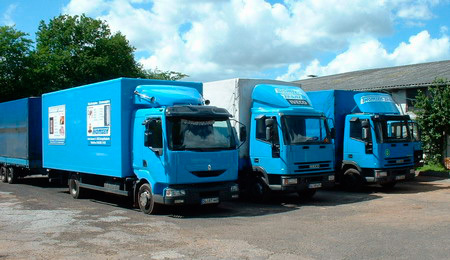 Our own fleet of 15 trucks enables us to always provide uncomplicated, flexible and quick deliveries. 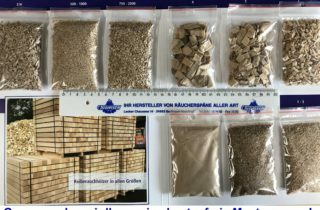 This is important because, given that are there are now barely any small smokehouses left, we predominantly deliver our smoking chips to bulk buyers who cannot afford any down times or fluctuations in quality. We do, of course, also deliver our products to retail customers. Feel free to contact us and ask about our conditions! We also sell small amounts, for example for pet owners or hobby smokers, to the public in our courtyard area. The needs and requirements of our customers are an extremely important issue for us at Thomsen and we are therefore also able to fulfil special requests such as special smoking mixtures. 50-70% of our food smoking chips are now delivered to customers outside of Germany, even in countries such as Australia, South Africa, Dubai, Russia, Uruguay and EU. Thomsen Räucherspäne – your partner for wood fiber products!